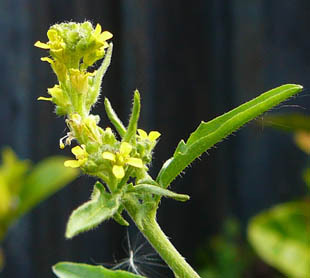 Late April to October and sometimes through mild winters. 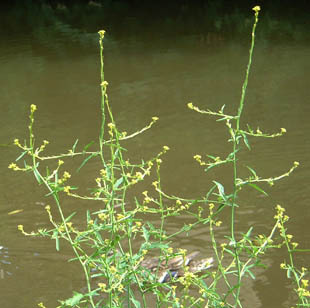 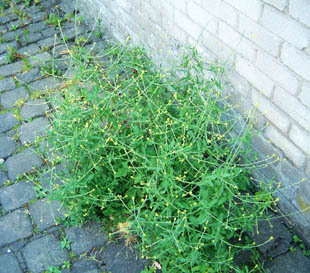 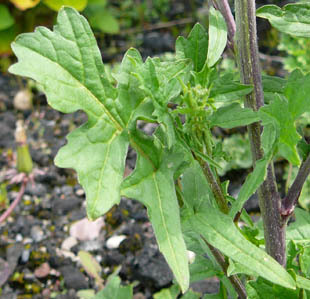 It is an erect, annual or biennial herb growing up to 90cm. 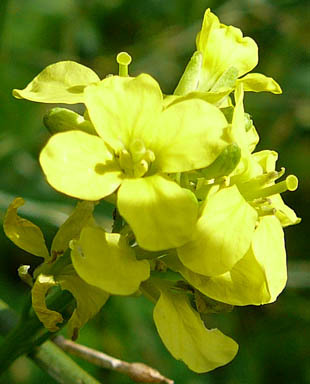 It is easily recognised by its loose, candelabra-like shape. 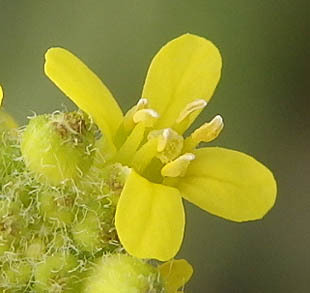 The flowers are small (3mm across) with 4 pale yellow petals. 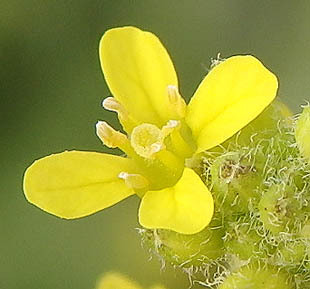 There are 6 yellow stamens. 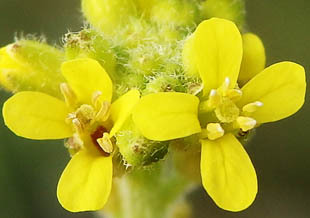 There is a single style with a capiate yellow stigma. 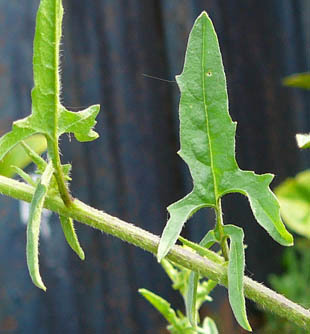 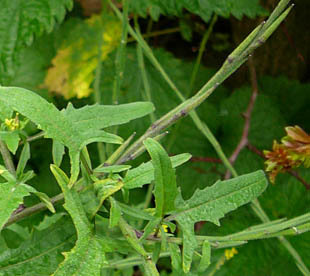 The upper leaves have obvious basal lobes.